Macbeth, like any of Shakespearean tragedies, is not a bare plot with episodes stringed together. 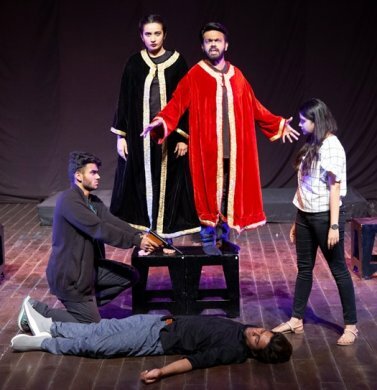 Rahul Bhole tries out an idea in Macbeth written by him with the dialogue alternating between English and Hindi, staged at Natarani last Friday. He invents situations as from undergraduate college elections ruthlessly fought, leading to a murder, and juxtaposes them as parallel to events in Shakespeare's famous tragedy. 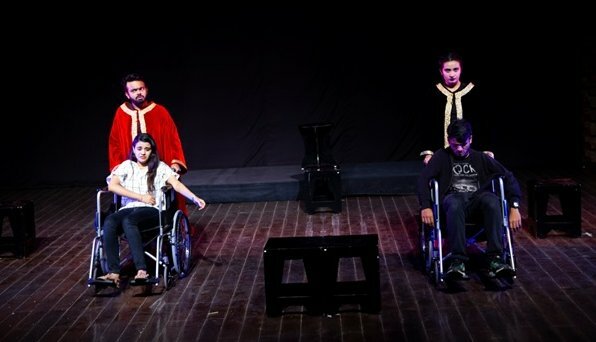 Jay Merchant has directed the play faithfully following the script it seems, without letting in melodrama. The theatre style is close to being naturalist except that ghosts appear as real characters. The protagonists in the original have a high stature and are driven in their action by a fatal flaw in their character. Macbeth is a general who has won many wars and Lady Macbeth is trusted to be King Duncan's hostess. The rise of ambition in them, their turning wicked and the tragic aftermath of their action are backed up by the playwright's psychological insights much ahead of Freud. Their counterparts in the ' contemporary adaptation' are ordinary young collegians who do not crystallize even as distinctively recognizable characters. The ordinary motives of their dastardly act and an apology for remorse do not earn them the stature of tragic heroes. 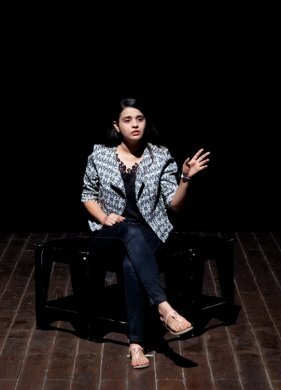 Noted playwrights like Vijay Tendulkar and Girish Karnad are known to have developed a dramatic language, sometimes specific to a play, semantically rich and complex. Shakespeare gives character even to his blank verse by dramatically breaking lines from time to time. Macbeth would lose its significance as a masterpiece without its suggestively rich images with a universal appeal and its nocturnal sounds and darkness giving it metaphoric dimensions. Without these elements and strong characterization the text becomes empty lines, even in a naturalist play. Theatrical devices when it is staged can barely retrieve it from ordinariness. Naitre's bilingual 90-minute play highlighting pursuit of a limited ambition during college years with casual disregard for values and not stopping short of snuffing out the rival's life has an explosive theme. That it engages attention of a modern scriptwriter and a stage director is welcome. It needs to include a serious probe into the psyche of the modern youth. Seeing in it a contemporary parallel to Shakespearean tragic theme and calling the play Macbeth, one would think, was a temptation they should not have fallen prey to. The writer-director duo seems to have overshot their target. The thematic parallel, seen and visualized, at times falls within the range of a parody. In presentation, there was an opportunity to build a dramatic contrast between a declamatory style of the original and a non-theatrical one of real life happenings. Amateur actors suit the characters' age group but excepting a couple of them, like those playing Riya and Ranveer, they get amateurish as well. They are vulnerable in English pronunciation, intonation and usage. Scenic changes with minimum props, as for the airport and the canteen, are efficiently done by the team. Dr. S.D. Desai, a professor of English, has been a Performing Arts Critic for many years. Among the dance journals he has contributed to are Narthaki, Sruti, Nartanam and Attendance. His books have been published by Gujarat Sahitya Academy, Oxford University Press and Rupa. After 30 years with a national English daily, he is now a freelance art writer.